The following is an update about what you need to know regarding the #AllOutPDX mobilization in Portland from Anti-Fascist News. It is followed by a press release from Pop Mob. POPMOB calls on all of Portland to join the coalition’s “Stop the Hate” rally outside City Hall at 10:30 AM tomorrow. 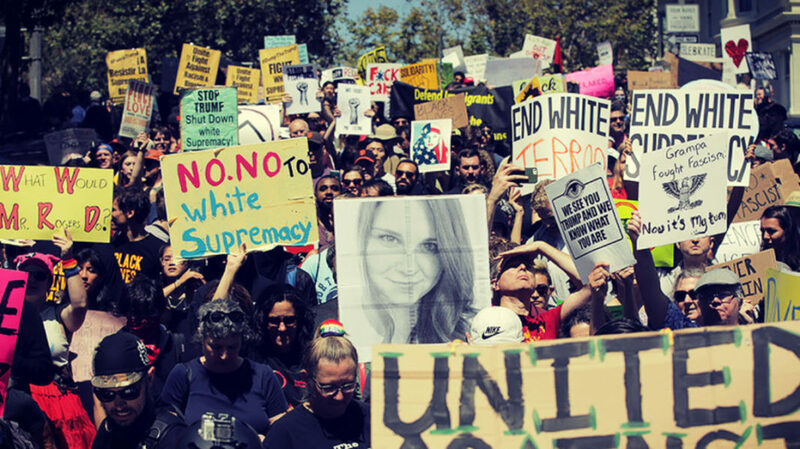 At 11:30 AM, the Portland antifascist community will unite at Tom McCall Waterfront Park to demonstrate against the concurrent Patriot Prayer event and deny them a platform from which they might organize further violence. Since its beginnings, Patriot Prayer, led by Joey Gibson, has harassed, intimidated, and brutalized the people of Portland and Washington. Members and supporters of Patriot Prayer include affiliates of white supremacist prison gangs and the neo-nazi group Identity Evropa, and a participant in last summer’s “Unite The Right” rally in Charlottesville, VA which resulted in the murder of antifascist Heather Heyer. Over the last two years, Portlanders have tried ignoring Patriot Prayer, but their numbers have only grown. Tomorrow, on August 4th, they will try to march once again in Portland in an attempt to further their white nationalist, far-right agenda. On that day, Portlanders will show Patriot Prayer that they have no place in this city. Those of us who oppose the fascist ideals of Patriot Prayer — their nationalism, sexism, homophobia, and lust for violence — far outnumber those who support them. Those of us who believe in a better world will unite to defend Portland from fascism. POPMOB encourages all members of the Portland community to join us in opposing Patriot Prayer and their violent, far-right agenda. Parents, teachers, artists, union members, health care providers, receptionists, food service workers: we are all anti-fascists. We are more powerful together, we are resilient, and we must join on August 4th to show Patriot Prayer that this is our city, not theirs.